Let’s take a wander around my allotments, and while we wander I’ll try and tell you a bit about allotments – or perhaps you know them by another name – community gardens. Simply put an allotment is a small parcel of land rented to an individual to grow fruit and vegetables. There is no exact formula to what allotments look like, how big they are, their day-to-day running; but there are themes and commonalities, there is legislation and documentation, organisations set up to campaign and help. Some allotment sites allow the keeping of livestock like chickens, pigeons, rabbits, bees, even horses, others don’t. Access to water from standpipes is common but not a given. There are sites that are tiny, maybe half a dozen plots whilst others have several hundred. A number stipulate that gardening must be organic. As with the gardeners who tend the plots, the plots and sites vary and cover every spectrum imaginable. To give you an idea, my allotment site covers roughly 6 acres and has over 100 individual tenants. 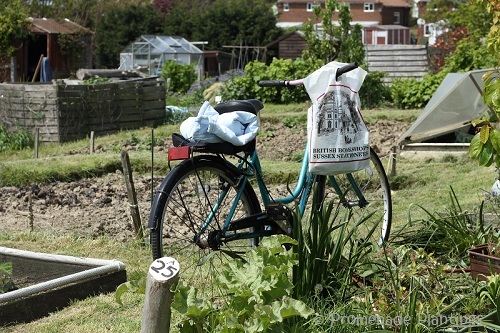 We each rent our small parcel of land from the Allotment Association who in turn have a lease from the Council. But let’s take a step back and look at how they came into existence. Allotments were born out of a need. The recognition of the need for working men and women, the landless, the urban poor, the tenanted rural poor, to be able to grow and provide food for their families. The first allotments as we know them today were organised at the start to the mid 1880’s; but their origins could be said to go much further back, around the time of the land enclosures across England and Wales. The principal is for everyday people, those without access to land to be able to grow food for their families. The rise in popularity and demand grew from urbanisation and tenanted workers. The campaigns for better living conditions, health benefits are all tied in, and continued throughout the centuries, with the Church, Charities and Authorities trying to address the need for people to have access to good fresh food. 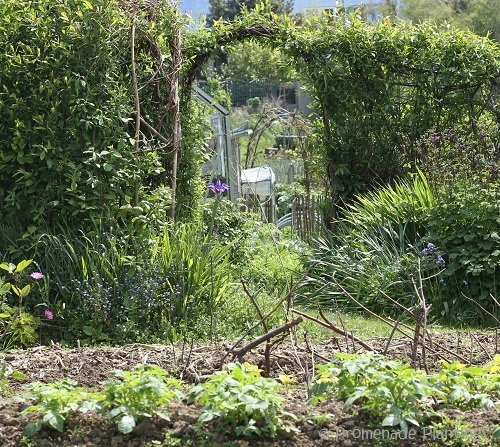 Allotments are legislated for, with various acts brought in over time to strengthen or amend the provisions. As the original legislation states, Local Authorities are “to provide a sufficient number of allotments; and to let these to folk who want them” and the rent should be fixed at what a person “may reasonably be expected to pay“. This is only the starting point and I won’t go into the details here, this is a mere illustration, a brushstroke. Now for the fun – how big is an individual allotment? The unit of measurement is fantastically archaic – a Rod. Yes you read that right. A Rod is approximately 5.5 yards. Individual plots are anywhere from 5 Rods to 20 Rods, the most common being 10 (or 302.5 sq yards or approx 250 sq m ). 10 Rods was considered a good size to be able to feed a family or certainly supplement their diet. Allotments have waxed and waned in popularity, from the Dig For Victory campaigns of WW2, and afterwards when food and supplies were scarce, remember it wasn’t until the late 1950s that Britain stopped rationing food. To gradual declines up until the 70s with a mini resurgence, only to be followed by further declines and now in the 21st century a rise in popularity as the desire and awareness of growing your own food has increased. The popular view that allotments were a place for old blokes with flat caps and pigeons is far from 21st century reality. They are vibrant parts of the community with all ages, sexes and cultures represented. Places where you can escape from a hectic work and home life, where if you live in a flat with no outside space you can have your little patch of green to cultivate. To be able to sit down on a bench and stare into the distance, to contemplate, to relax. And yes, to feed your family. 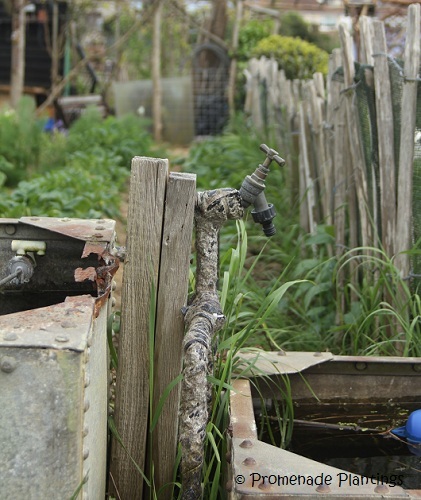 21st century allotments are changing and evolving. 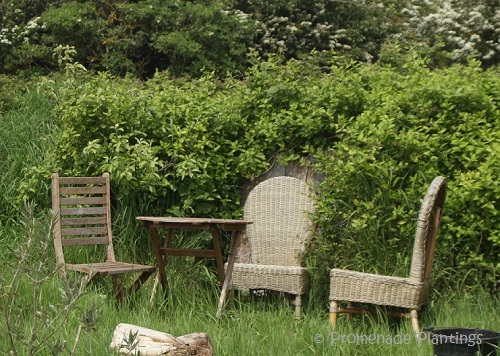 Your alloted space is rented from either the council, an organisation set up to run the allotments, your local church parish or increasingly private landowners. The average age of allotmenters has lowered, many more women take on a plot, the standard size of plots is getting smaller to meet demand, they are no longer the preserve of the working classes, the middle classes have got in on the act too. 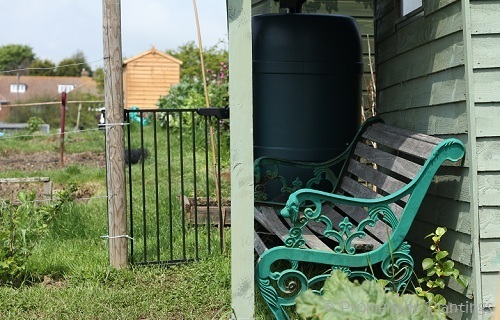 This post is about the mechanics and history of allotments, what I’d like to do another time (soon) is tell you about how it feels, what goes on, what grows, what we get up to – our resourcefulness and ingenuity, the ups, downs and round-abouts, the do’s and don’ts. And yes our sheds, greenhouses, benches, and even the fruit and veg. For now I’ll leave a few links so you can, if you want, read a bit more. Ok, one more gratuitous macro shot and I’m done for today! A Rod is 5.5 yards, squared it is 30.25 sq yards. 10 Rods is 302.5 sq yards or 2,722.5 sq feet or 253 sq metres. I have 8 Rods, so my plot is 242 sq yards or 222 sq metres. 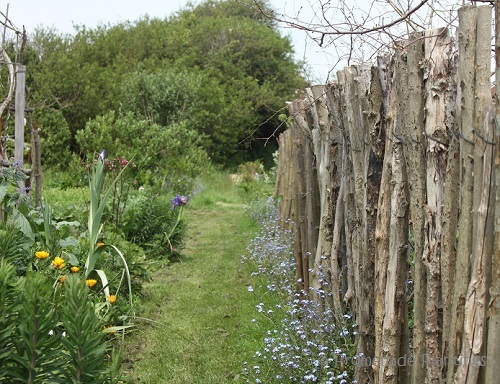 lovely photos, and wow, your allotment looks tidy! I particularly like the hanging plant pots made from plastic bottles. 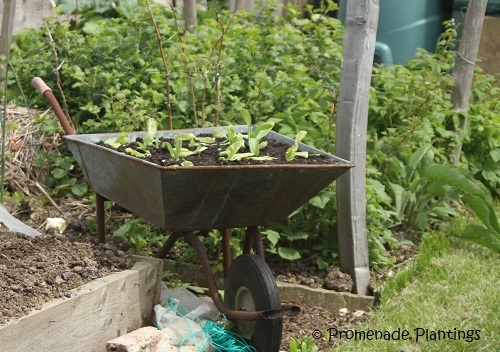 That was such a brilliant post Claire – very interesting to read about the history and the developments in allotment owning and gardening. I have also been reading about a Hugh F-W initiaitve (or maybe he´s just linked to it) called something like Land Share which also seems a way for people to get access to land. Our veggie plot is not that big but it´s amazing how much you can grow in a small space to keep you provided in wonderful tasting veg. Thank you dear Nia, I think gardens give us so many things, energy, space and time, flowers and great food. What great photos! Your photos always remind me of The Secret Garden. Lovely, the Secret Garden is an old favourite ! Thanks for this, Claire. I’m quite intrigued by the whole concept, and have been ever since I started watching River Cottage and their Landshare scheme. It looks like a lovely, tranquil place, but I don’t quite understand what stops someone coming in and nicking your hard toiled produce while you’re not there? Is it usually located close to home? Hi Celia I need to go and take a look at the landshre thingy that Hugh FW is involved in, sadly I really don’t know much about it. Wonderful idea for a series, Claire. I’ve always loved peering into allotment gardens in France from the windows of the trains, and been fascinated. Now I’m getting a guided tour of a real one! I know that in France, women were once forbidden from working these gardens – was it ever that way in England? Thanks for the reminder Marie, I’d heard about French women being banned from allotments before but had forgotten about that. I don’t think there was anything like that here, but they did tend to be the preserve of working men. 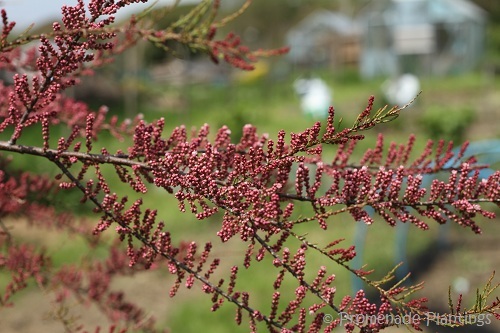 But gradually some sites, like ours have changed over the years and many more women are wanting an allotment, and wanting the pleasure of a garden. Vive la difference! Thanks for that little bit of history! Oh, and the fact you used the word “bloke” in a post made me giddily happy. It’s the little things in life. This was fun, Claire, and beautifully illustrated. I look forward to future posts on the allotment. Celi, it was a revalation to me when I started to garden on the allotments and not just in solitary confinement in my garden, yes it’s not as convenient, it’s more exposed, there is the occaisional probelm, but the upsides have outweighed any negatives – what I learn from other gardeners is superb – their experience of growing on that site is spot on, but everyone is always willing to try growing someting new which I love! I think it should be a basic human right to grow fruit and veg. Simple! And ooo FB, the glory, the infamy! Thanks for the tour and history–yes, they are community gardens here. Magical places and wonderful people. Magical places sum them up, but then I’m biaised! We go a bit crazy with the macro and our food photos, but need to get it outside more..
I’m looking forward to those photos! Ok, rationing – before my time but yes it went on late into the 50s; post war Britain was a hard place, the cost of the war on human life, on resources and the economy was huge. Europe was battered literally. But you look now and it’s hard to imagine what it looked like, regardless of how many photos or films you see, it’s still hard for the likes of my generation to fully comprehend the impact. ps – I should add it was partial rationing, only certain items were rationed, and gradually everything was phased back in. hope that makes sense! Loved he post Claire. Interesting to get the history, and the lovely photos. My allotment space is 16 square metres. Can’t work that out in rod’s – but think it must be a fraction of a rod!! Hi Jean, I have to say maths is not my strong point, in fact far from it! My head goes kind of blank. And thanks for popping in and having a look around, I’ve been enjoying reading about your plot in Brisbane and visiting your friends in Melborne – I found the rules on watering fascinating and stimulating – watering twice a week at fixed times is certainly a hard and tough rule, but as water is such a precious commodity maybe the sensible way to go. We have drought orders in place here which means hose pipes are banned, to be honest I don’t have any issues with this at all, I think we generally waste way too much water, watering needlessly. Oh, and don’t trust me with the maths, I’m dreadful!! 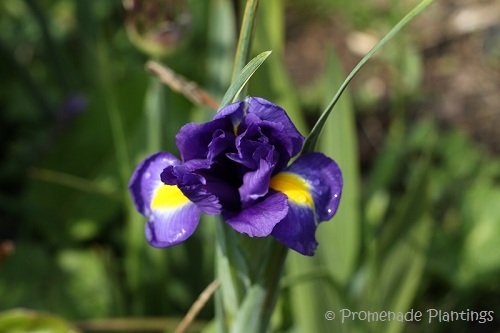 I really enjoyed reading your overview of the history of allotments and looking at your lovely photos. My kids spend quite a lot of time on an allotment. The older one hates it but the younger one kind of likes it- so I’m hoping he’ll be looking after my garden in the years to come…. He, he kids are funny. My neice has gone through the embarassed stage (her dad has one too) to the cool stage, to the indifferent stage. She’ll neve rbe a gardener though – too much of a fashionista for that!! Thanks for explanation. I understand now. I am not very good at growing things but have become quite adroit at growing old. Thanks for explaining my friend! This was wonderful, not only to learn and understand the concept of allotments but the pictures as walked about with you are marvelous. In the Southern States they have what are called Tobacco Allotments. This means that each landowner is allowed to grow a certain amount of tobacco each year. This was to spread out the profits that are made through tobacco growing and keep it out of the hands of just a few. A very different understanding of allotment than you have. This is so interesting! Unfortunately in the US the idea that everyone should have the opportunity to grow their own food is almost nonexistent. 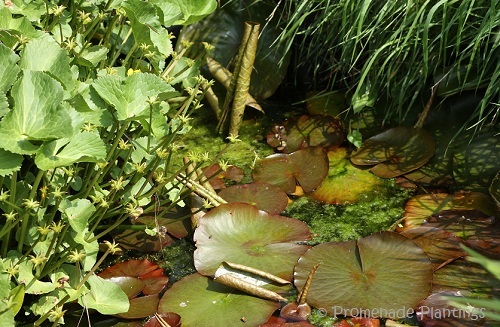 In fact, there are communities where having a vegetable garden on your own property is not allowed! I’m fortunate to to live in a community where growing food is valued, and we’ve had an allotment-type community garden here since the 1970s. Before I moved here, the only community gardens I was aware of were small urban ones, where people have fought to turn overgrown vacant lots into gardens. I could go on and on about this– may be I should write my own blog post about it! Oh and by the way, regarding the size of the allotments, I think you’re confusing feet with yards. A yard is just slightly smaller than a meter, and there are three feet in a yard, so a rod would be more like 90 feet. Much larger than your average American community garden plot! Kate, I can’t imagine having such rules and regulations that prohibit people from growing fruit and veg, I guess those rules were made by people who value a primped lawn more highly than a lovely apple tree in blossom! I know the sort of community garden you mentioned – the vacant and derelict land in cities and towns – they can become such vibrant places, sometimes you glmpse them or hear about them and they always lift my spirits – the thought that people are brought together to turn something unused into something special. And please do, go on and on – you know I’ll be reading!! And thanks – yes I realise i mixed up my feet and yards now! Maths is not a string point – I can get very muddle headed. But when I am there, pacing or marking something out I can do it, writing it down is the tricky part. In fact I think I’m going to go and double check the workings out…. It’s true, we Americans do love our lawns! I think I will have to write a post about community gardens here. I think the English love their lawns too, it’s a funny old world! Claire thank you taking the time to tell us more about “allotments”. It is all very intriguing and new to me. There is no formal community garden system in my community. We are the home of large agricultural companies who farm vast acreage; although there are more small organic farms every year. Community members garden on their own property. However I have heard there are community gardens in other nearby area such as Santa Cruz. You are so kind Kathryn, it was one of those subjects I had been asked about, a few times, so it made sense to take everyone on a mini tour 🙂 Next stop!! What a lovely post, and thanks for the history lesson. So interesting, and I am grateful for the visionary people who came up with this idea. And beautiful accompanying photos, too! Thank you Nancy, it’s ben a pleasure to so a “show and tell”. Allotments are a great idea, I know sometimes it doesn’t always work in practice, but essentially they are there thanks (as you say) to some visionary people. Check out this lettuce growing in gutters… I’m imagining them along your fence line. Thanks Joanne, it’s a seemingly odd concept isn’t it, but it goes back to pure trust. 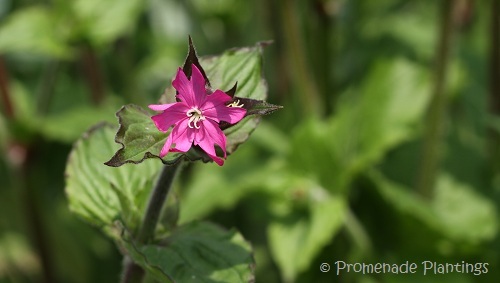 I know on the allotments you sometimes see plants that are perfect for picking but have been abandoned – that is totally frustrating, but an obvious no go! I love the idea of people using the best available space for any type of garden, and the ones planted with veggies must make a lovely welcome sight after a day at work. Your post about the shed and this one really clarified “allottments”…thank you! 3 years ago, our master gardeners group started a community garden in Fellsmere that runs very much as you’ve described; where my sons live in Boston, allottment style gardening has existed in their neighborhood on the Fenway for as long as I’ve been alive. As a rule though, the concept hasn’t swept through the States. don’t shoot me…one more question: is the Council analogous to our City government? My grandmother who emigrated to Boston from Gort (ireland) always spoke of growing up in a Council House, which I assumed was local low-income housing like our “projects.” No one in the family ever really explained it or seems to know, and I’ve long been curious! 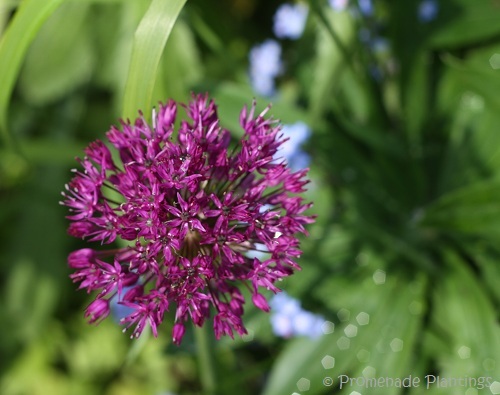 I’ve said this so often, but have to repeat: your blog is truly wonderful! You give so much of yourself to it (and through it!) and I’m very appreciative of the time involved! I’m so pleased you enjoyed these posts, it was a comment from you that reminded me to write about the allotments in the first place ! Yes, Council (or Local Authoirty) housing is pretty much the same thing, I had to ask an American friend of mine a while ago as I never knew what people were on about when they mentioned living in the projects. My brain couldn’t compute living in a project. A project for what I kept thinking!! Great system (other than the math 😉 )! And as usual lovely photos which give your readers such a good feel for the place! Hi Inger and thank you. I think that’s what I was trying to do more than anything was to give people a feel for them. They are so special, it’s sometimes hard to find the words. What a terrific visit! I loved every photo and studied each one…it’s so the look I just love….. 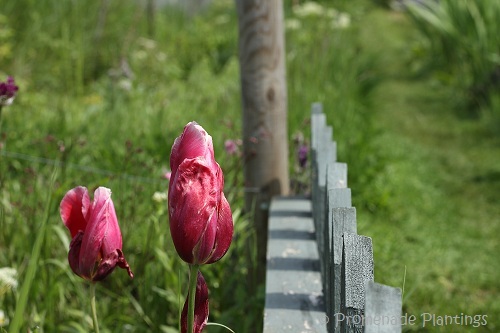 I enjoyed your description of the allotment very much, and loved the photos. It looks like such a comfortable place to do the gardening. It is a comfortable place to garden Shimon. I was talking with my partner about your previous comment on similar types of projects being started in Jerusalem. And it got us thinking about the long history of Kibbutz style farming and community gardens / farms in Israel, but am I right in thinking those are all rural based, and what you are talking about is new urban community gardens? Hi Claire, I have to say that I think this is one of your best posts. Not only are your photos beautiful but they let us see and know more about the history behind one of the nice parts of your life. I had no idea that the rationing was still going on in the late 1950’s. So interesting. Karen thank you for your kind comments, I’ve enjoyed everyone’s responses to this post so much, it really has felt like a conversation. It’s been a pleasure to share this part of my life! I read a lot of English novels so I’ve run into the allotment notion and gathered a bit from context but I’m very glad to get the skinny in more detail. Plus great pics. Thanks. This was fascinating, Claire, on many levels. Your garden s larger than I had envisioned. You certainly use it to its fullest advantage, too. As always, your photos really do beautify your post. 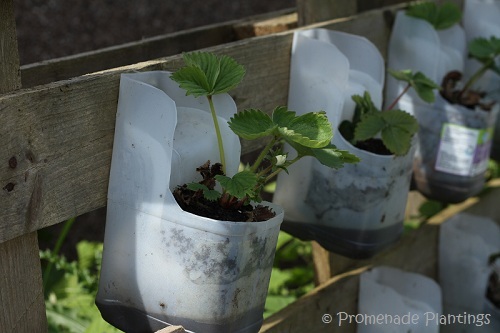 The strawberry containers are brilliant! I must start saving those containers, even though I love scrunching them up for the recycle bin! Hi and thanks for your comment. They are a great idea, these aren’t on my plot but I want to make some too! I think they will be great at keeping the slugs off the precious fruit, the only downside I can see is that they would need watering. But I guess you can’t have it all ! Thank you Lynda, the allotments seem a million miles away from the French Alps and all that snow!! what’s a typo between friends 🙂 I’ve got lots of catching up to do on WP, so goodness know’s what time it will be when I eventually turn in! Morning Claire .. thanks for explaining the history of the allotments! I remember Jack on Coronation Street inherited one from a friend. Some of the shows showed him happily sitting on a bench outside the little cottage, quite comfy. Your allotment sounds quite large. There is a community allotment not far from where we live .. I love seeing all the individuality therein. Some have built small structures, others have high walls, most are open to the air and some of the gardeners plant a little bit extra for the wild life to help themselves. I love the link to Coronation Street 🙂 I should go back around the site and take a few more photos now the season is progressing. and yes the structures are something to behold! I just love your photos! Look forward to seeing the pics! !